The Dignified Way While Honoring A Veteran - At Sturtevant Funeral Home we operate an on-site crematory. When your flags are no longer worthy of display, please bring them to us and we will cremate the flag with a veteran. Your flag will honor a fallen veteran by being draped over the individual at the time of cremation. It is a fitting tribute to veterans and a patriotic way to “retire” aged flags. 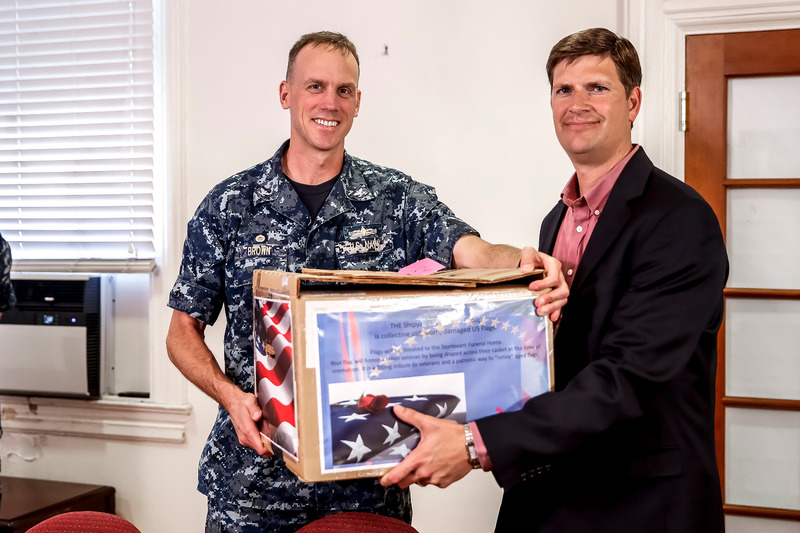 On June 14, 2016, Sturtevant Funeral Home was invited to receive retired flags from Norfolk Naval Shipyard. 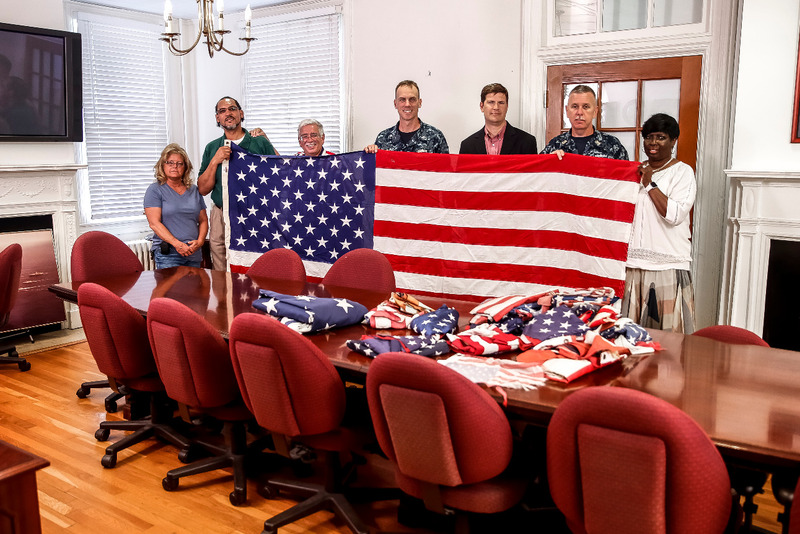 Flags of all different sizes were donated and presented to Robie Gardner during a small cermony inside the historic Shipyard Commander's Residence. Photo: Robie Gardner receiving flags from Capt. Scott M. Brown, Commander, Norfolk Naval Shipyard, Portsmouth.